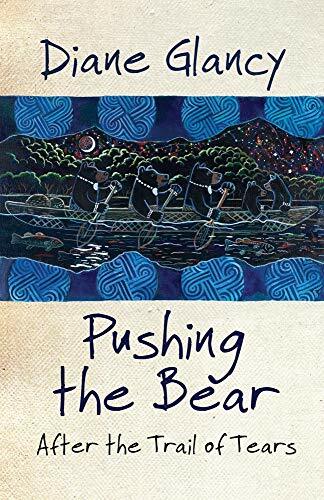 This major novel by the Cherokee writer Diane Glancy, a companion piece to her 1996 novel Pushing the Bear: A Novel of the Trail of Tears, provides an exploration of faith, love and loss in the context of what is still one of the most disturbing events in American history. In 1838, American soldiers rounded up the Cherokee still living in Georgia and North Carolina, and drove them into stockades. These were, in effect, concentration camps. Around 2,000 people died in their cramped, disease-ridden conditions, including hundreds of infants. Those who survived were then forced to march from their ancestral homelands to the new land that had been promised them. Guarded by American soldiers, they walked the 900 miles to "Indian Territory," modern Oklahoma. At least 1,500 of those who set off did not complete the journey, whether due to death or to slipping their guards en route. Estimates vary, but when added to the earlier forced migrations of 1817, it seems likely that around 3,500-4,000 Cherokees died as a direct result of an American policy of ethnic cleansing, carried out in direct breach of several binding treaties that recognized Cherokee governance and sovereignty.